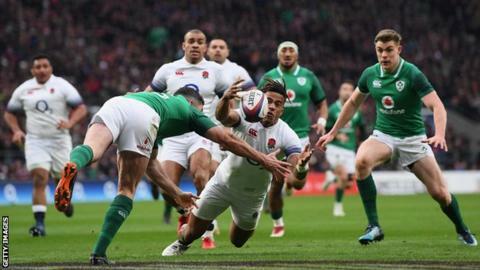 The 24-year-old was withdrawn after 34 minutes of Saturday's Six Nations defeat by Ireland at Twickenham. It is understood he will be out for about six months, ruling him out of England's tour of South Africa in June. "We're obviously really disappointed to have lost him at a critical part of the season," said Bath director of rugby Todd Blackadder.